In a week when the banking sector imploded and then sprang back to life, in which we saw one bank literally take over another in a nanosecond, doesn’t it make you wonder why it still takes them five days to clear a cheque? I’ve just experienced my first money-free week, in the idyllic setting of a remote Scottish island. An island without shops, cars or even bikes. Of course my holiday wasn’t free – I’d paid for everything before we left the mainland. But I wanted to share with you the feeling of living a week without making a single financial transaction. Where pleasures were simple, and came from activities such as walking through glorious woodland, playing board games and completing a jigsaw that had been on the go for nearly two years. I often advise clients to set a budget for a week, withdrawing that amount in cash on Monday and making it last. People generally report back that it’s been an easier task than they’d anticipated. Enjoyable even. But my week away took things a step further. There was nothing to buy, and it was so easy to get into the swing of not spending. For instance, we planned our meals for the whole holiday and took all our food and drink with us. By day four, we were getting creative. What could we make from what we had…a bit like Ready Steady Cook! Getting out of the habit of handing over money has lasted, even though we were only away for a week. Maybe it’s something you could try, even if it’s only for a day. 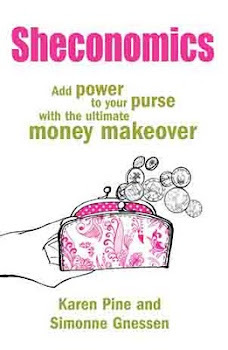 If you don’t like leaving the house completely money-less, try tucking away an ‘emergency’ £10 note, and leaving your purse and cards behind.